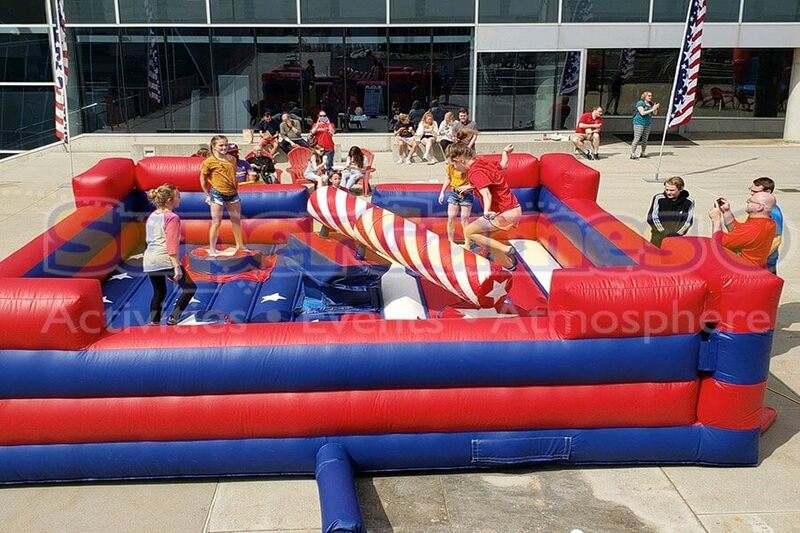 Wipe Out Patriot Games is one of our most popular attractions. The swinging arm is fully controllable by the operator and can keep participants on their toes or on their backs. 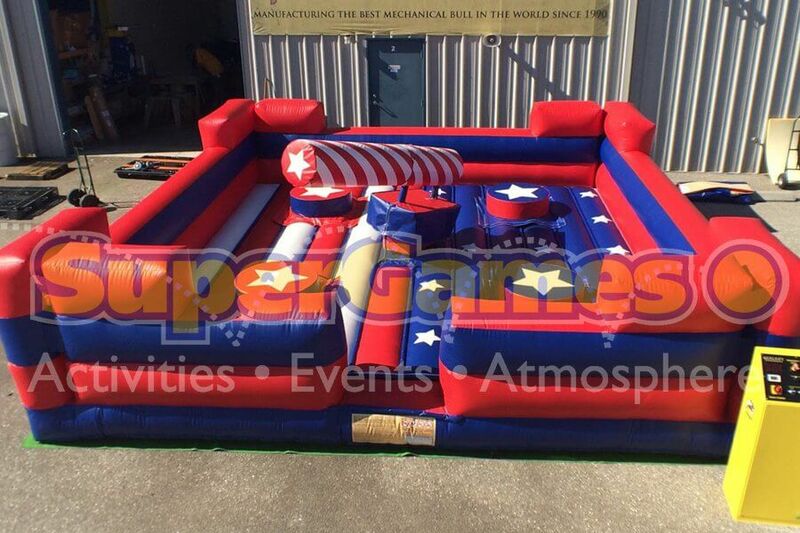 Patriot Games is a great multi-player activity spun off from the popular TV show, Wipe Out. In this activity participants must decide to jump or duck the spinning log or get Wiped Out! 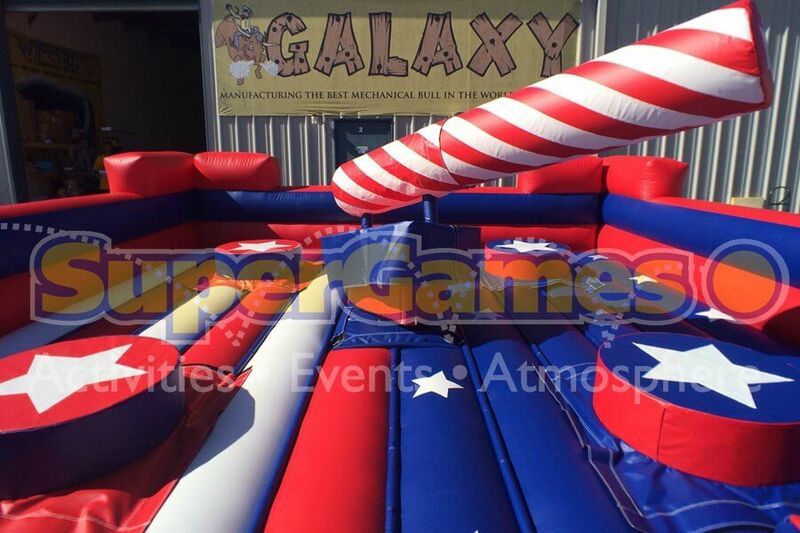 Be sure to check out our other great products from Galaxy America: Toxic Drop, Kapow, Meltdown, Mechanical Football, and the ever popular Mechanical Bull. Also, check out Leaps and Bounds Big Red Balls for another great game based off the show Wipe Out.